Cuba is more than its vintage cars, colorful buildings, and dancers posing on seawalls. It’s about families farming the same plot of land for generations. It’s about the once thriving and historically under appreciated industrial heritage of the sugar plantations. It’s about quaint fishing villages and the stunning beauty of Cuba’s natural landscape. It’s about colonialism. And it’s about the emergence of a “new” Cuba…a rich convergence of past and present. 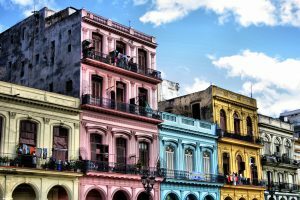 In this unique 8 day/9 night photographic adventure, we’ll explore this other Cuba, and experience a true “people to people” cultural exchange. Our itinerary was designed just for us by Cuba Educational Travel, a leader in cultural travel to Cuba. The workshop begins on Tuesday evening with an orientation followed by sunset at Morro Castle and a delicious welcome dinner. 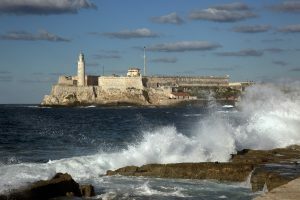 The next day, we’ll explore Old Havana, visit the Museum of the Revolution and then head to the picturesque fishing village of Cojimar…a town loved by Ernest Hemingway. 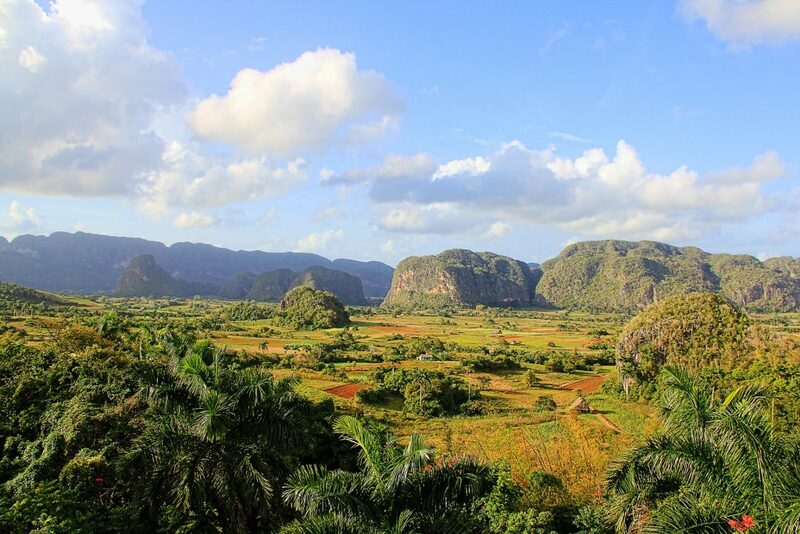 Thursday sees us departing for Vinales, considered by many to be the most beautiful place in Cuba. We’ll stop at Las Terrazas, a small community and nature reserve in the Rosario Mountain Range on the way. 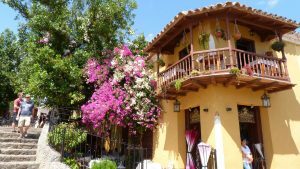 We’ll stay in casas particulares, or bed and breakfasts, letting us enjoy comfortable accommodations and ample privacy while getting to know everyday Cubans. On Friday, we’ll spend the day exploring the glorious Vinales Valley, visiting a local tobacco farmer and a private farm where generations of the same family have raised a multitude of fruits, vegetables, grain and tobacco. We’ll enjoy a true farm-to-table lunch here. 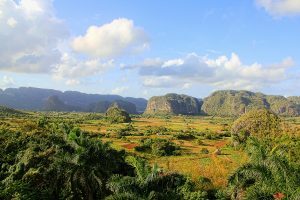 After a morning free in Vinales for you to explore the valley and photograph on your own, we’ll head back to Havana, stopping at Tungasuk Farm on the way. That evening, we’ll enjoy a performance by Habana Compas Dance, a private tour of La Fabric de Arte Cubano, and dinner at one of Havana’s newest dining spots. On Sunday, our group will explore Centro Habana by bicycle taxi, exploring Chinatown, Reina Avenue and various side streets. We’ll also venture into the Vedado neighborhood, where we’ll visit an agricultural market and tour the Hotel Nacional, home to many important dignitaries during their visits to Cuba and the site of annual Mafia meetings throughout the 1950s. The next day, we’ll depart for Cienfuegos, one of Cuba’s oldest and most beautiful cities. Often called the “Pearl of the South,” Cienfuegos is one of Cuba’s only cities to display Free and Spanish architecture. We’ll tour the city by bicycle taxi and then rendezvous with local photographer Omar Garcia Valenti for a personal photographic walking tour. Continuing on to Trinidad, a UNESCO World Heritage Site, we’ll check in to our casas particulares and enjoy a home-cooked meal prepared by our hosts. The next two days include a discussion with a local architect, historian and restoration specialist, who will give us an overview of the city’s history and lead us on a walking tour of Trinidad’s historic center. We’ll also visit the Sugar Mills Valley to see the ruins of the old sugar mills and surrounding villages, and then continue on to San Isidro de los Destiladeros, a typical sugar plantation operated with slave labor in the late 18th and early 19th ventures. 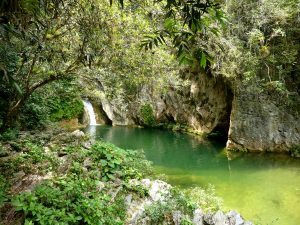 Our final excursion will be to Topes de Collantes, a beautiful national park full of flora, fauna and stunning waterfalls. Our group is limited to 10 – 12 photography participants and the cost is $4,800 per person, based on double occupancy. Non-photographing spouses may join us on a space available basis for $3,300, which covers lodging, meals and transportation. Single occupancy supplement is $500. A deposit of $1,000 per person (including spouses) will hold your spot, with the balance due no later than November 16, 2018. If you need to cancel before November 1, a full refund will be made. If you need to cancel between November 1 and November 15, 2018, a 50% refund will be issued. If you cancel after November 16, no refund will be issued. Prices are based on double occupancy. We will do our best to pair you with a roommate. If that isn’t possible, the single occupancy supplement will apply.